motocross webcast sites on the net - where are they? Motocross Webcast Presents the Opportunity to See it All. It is literally impossible to attend every motocross and supercross race, but thanks to modern technology, fans can participate in the next best thing: motocross webcast. Live stream is a feature that used to rate as an element of science fiction. Now it produces the best of each race as it happens. Of course, there are several sites more popular than others; the best thing to do is find out what races are being covered and which ones you want to see. 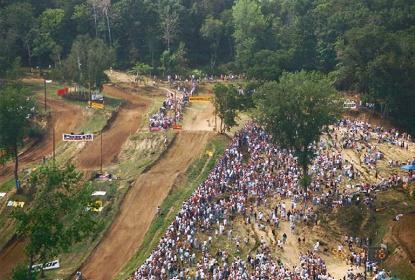 Alli Sports Action brings Lucas Oil Pro Motocross Championship racing right to you. Tips on the track conditions during the ride, rider stats and action in front and in back of each rider makes you feel as though you are right there watching with the best position in the house. Smooth streaming reduces interference in the presentation. The most important thing is verifying your system has the capability of Microsoft Silverlight. Go out to see the XMS Xtreme Motocross Series on iHigh.com for MX and SX action. No matter which track it is, there is something to learn that increases your skill as a rider or even how to call the shots if broadcasting sports appeals to you. The excitement of the sounds and scenes of a motocross webcast also provides a look at current and future stars in this sport. Does it seem like a rider makes the same mistake over and over? Go back and review previous races to see what is causing a certain problem. 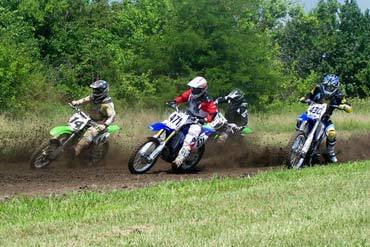 Get live scoring and broadcasting on events like the Loretta Lynn and Texas State Motocross Championships when accessing Freestone MX. YouTube videos and older webcasts, such as the 2009 FIM Motocross World Championship, also bring the action to life. Why not go to the new home of action sports and watch the action of Freecaster.tv? You must create an account, but in exchange for those few moments of time, you will have access to more than one incredible motocross webcast of the sports you enjoy. Registered users can provide videos to the site, so if you film some local action, share it. Cast your net wide and drink in the detail. A motocross webcast is a useful addition to know about. A number of sites are beginning to use this as an easy way to inform their fans of news and recent events. Depending on the website angle they could be discussing the fmx motocross races or the newest tracks riders are having positive feedback about. The latest info is important to many, if your a moto cross fan or a follower of "who won what - and on what bike". A webcast takes care of that, and online websites have got better at providing coverage of race updates of the nationals up and down the country. Heck you might even experience a webcast of a minnesota race battle; or a local bike race on a circuit you use yourself. Let us be your terrain navigator; and look at our reviews below on the sites that offer webcasts of MX motor bikes doing what they do best; spinning those mud tires! First along was the shining beacon of motocross.com - do they have a motocross webcast ? Well they have a Race Coverage page, dotted with cool videos. From Race results at the AMA Pro MX Championship to What Really Happened at the Hangtown National. It’s a well laid out motorbikes site, anyone can add comments to each video; plus you can see how many others have seen that very same video clip too. Supercrossonline.com followed along next. They have the latest news pages, columnists, point standings and tv schedules. More articles and motorbike videos than actual webcasts that we could see on the homepage? But SupercrossOnline.com, is the official site of Monster Energy® Supercross, and you should be able to get hold of a listening pass of a motocross webcast for just $5.99. This pass offers a webcast of the latest supercross race coverage. Then we visited freecaster.tv. A fine dirtbike website, here you can see mud bikes and other motorcycles involved in the MX sport; that are promoted by the big motorbike manufacturers. Freecaster.tv have a solid MX page which men and women fans will like. Again the videos are well laid out, such as a clip of a MX GP of the France Womens Replay and another vid of the Red Bull Hare Scramble, plus a live webcast page too. All of these sites, have something to offer. But if you want to get close to the action and covered in mud; go along to see the live show - then you'll really enjoy the offroad bikes. A dirt bike webcast or motocross webcast is also more entertaining than reading lots of content in the normal way; off a regular webpage. Of course there is a lot of chatter, and personal opinion, so pick out the important bits of info as you watch. The older dirt bike webcasts (if not archived already) might even end up on youtube as do videos of classic races. So even if you miss one there’s always an opportunity to do a search on such sites; to fill in any gaps when you’ve missed an important MX race.